Life is unpredictable in the most predictable way. For over half my life I have been sitting in my kayak. Not literally of course, but my identity has become the Olympic dream I have pursued over the last 13 years. For my whole career I have quantified my success in sport solely based on the races I have done really well in. Of course in the competitive nature of the game, maybe it is the only way you can really measure it. My goals for the last 20 years have all leaded me to my Olympic dream. But being caught up in such an intense hunt for something you want so badly makes you forgot sometimes what dreaming is all about. I heard it a million times from countless people, but never thought of it much until the last few months. As I’ve heard it said, “It’s all about the journey”. It never made sense to me until now. In striving for my Olympic dream, I have met so many people and made friends that I’m sure will be apart of the rest of my life. I’ve got to make my parents really proud, and also really upset! I’ve been fortunate enough to be supported by so many people and a great sponsor. I’ve had the opportunity to travel the world. I got to be a role model. I had the opportunity to be apart of changing sport. I got to be apart of team. I was able to have fun doing something that I loved. Most importantly, I’ve learned how to deal with failure. In sport, there are countless failed attempts to every success. Maybe the Olympic dream isn’t just about the 2-week competition every 4 years. Maybe the fact I went after a dream and all the things I learned along the way can determine my success in realizing my dream. Maybe I’m just trying to justify it, but I am satisfied that I achieved everything I was suppose to get out of sport, and at the end of the day, it’s all that matter. So if you haven’t put the pieces together, I guess this is my goodbye to my days as an athlete. I guess I’m allowed to say I’m officially “retired”. Life has a funny language, and through listening to my heart and other hints so to speak, it is time for me to move on. In saying that, there are so many people to thank for allowing me to have the opportunities I was afforded. It’s impossible to mention everyone, but if you are reading this then you deserve a sincere Thank you from me! Some special shouts outs would be everyone who supported my Pursu.it. 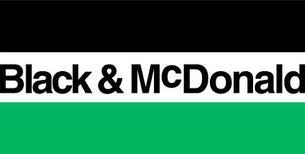 My sponsor, Black & McDonald who supported me for the last 7 years. The Atlantic Division Canoe Kayak, Canadian Sport Centre Atlantic, and Cheema Aquatic Club. To my close friends, and my teammates over the years. My coach Mike Kerrivan, who has been a third parent to me. And Most importantly my family. My mom, my dad, my sister and brother. Putting up with me is not easy, and they have been my biggest supporters even in the times I didn’t deserve it! Thank you from the bottom of my heart. In other exciting news, next month I will be moving to California then Perth, Australia to work as Chief Sales Officer with a start-up called, Pavilion. Check it out, pavilion.io . For the people who know me well, they know this is a dream job for me. So I am very excited to see what the future hold for me. One dream to another. I’m a lucky guy!